Singapore is a city-state in Southeast Asia. Founded as a British trading colony in 1819, since independence it has become one of the world’s most prosperous countries and boasts the world’s busiest port. Combining the skyscrapers and subways of a modern, affluent city with a medley of Chinese, Malay and Indian influences and a tropical climate, with tasty food, good shopping and a vibrant night-life scene, this Garden City makes a great stopover or springboard into the region. 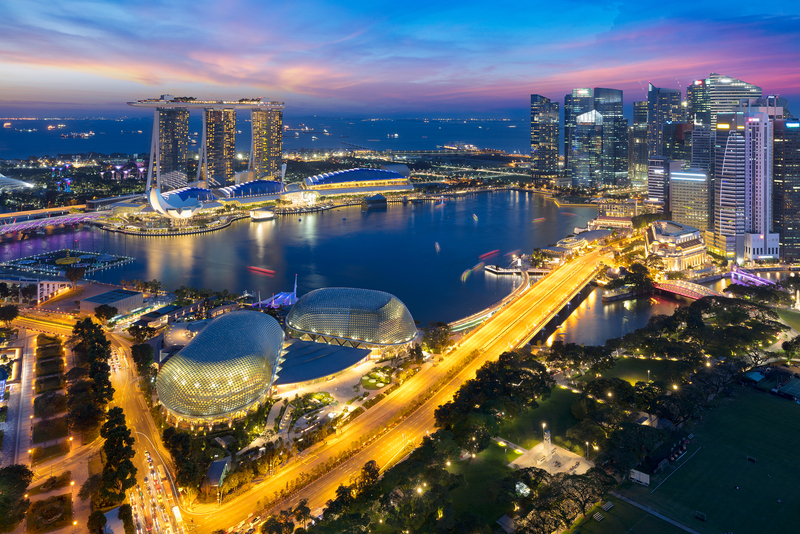 Some of the main attractions for tourists in Singapore are city centre with magnificent lighted buildings, temples, gambling in two great casinos, food, entertainment parks and annual festivals. Singapore is also a medical tourism centre of Southeastern Asia.